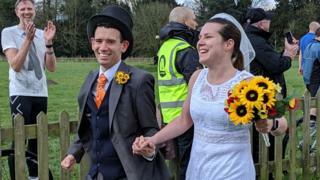 The couple, who met through their running club and got engaged while on a run, wanted their Parkrun community “to be part of our special day”. 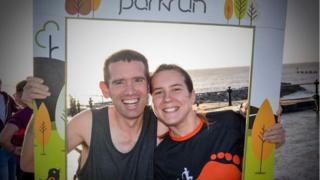 “Parkrun is our Saturday tradition and we are addicted to it,” said Mr Wright. 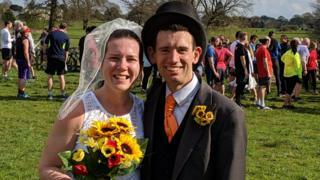 Mr Wright, 39, and Miss Thorpe, 32, felt running had to feature in their wedding day – but changed into other outfits for the ceremony. 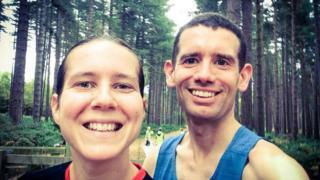 “Running has been an important part of both our lives,” said Mr Wright, who is the former Liberal Democrat MP for Norwich South. 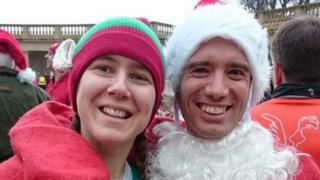 The couple met two years ago at the Norwich Road Runners’ Christmas fancy dress run. “I was there as Santa, and Anna was there as an elf, and we got chatting,” he said. Saturday’s Parkrun was Miss Thorpe’s 70th and Mr Wright’s 134th, but they were joined by dozens of friends completing their first. They were then due to get married at St Matthew’s Church in Thorpe Hamlet. “It’s wonderful what people have done,” said Miss Thorpe. “For us, Parkrun is bigger – it’s a more meaningful tradition,” said Mr Wright. Live Video Bot - OTO2 Upgrade Package.